The imageFORMULA P-215II Scan-tini personal document scanner is an ideal solution for both Windows and Mac environments. 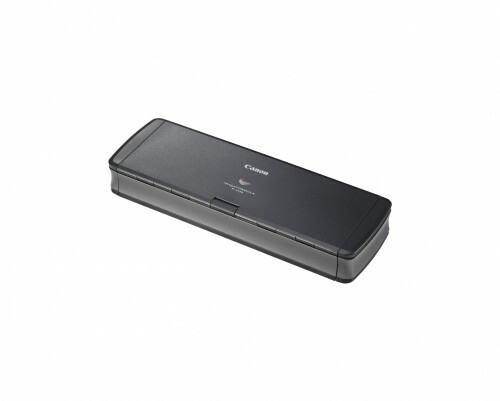 Complete with a built-in card reader, the P-215II scanner's compact size, simple use, and high quality imaging bring sophistication to mobile information capture, storage, and collaboration. The P-215II scanner is the latest addition to Canon’s successful Scan-tini family of mobile document scanners. Scan-tini scanners are highly-portable and mobile, easy-to-use devices for individuals to use from the convenience of any location. The P-215II scanner was designed to improve individual productivity anywhere, from the Small Office/Home Office (SOHO), to large enterprises, to classrooms, and traveling in between. It can help meet the document capture needs of stationary users and "road warriors" in healthcare, legal services, financial services, insurance, construction, and many other areas. With the P-215II scanner users can conveniently execute general purpose, distributed scanning tasks to maximize business efficiencies.